If you have a dinosaur obsessed tribe, we’ve got all the latest dinosaur activities and news right here. Check out our dino round up for spring. Dinosaur and dragon loving tribes rejoice! 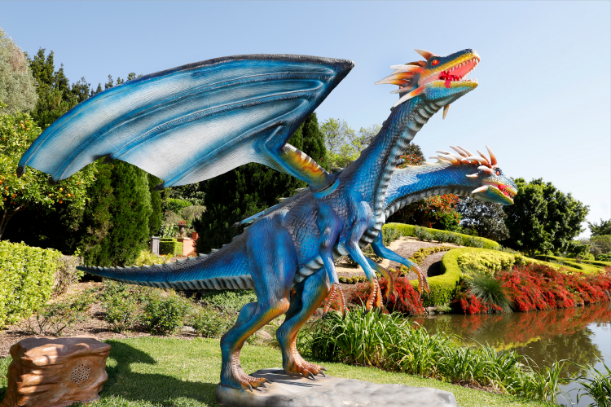 You will have a roar-some time at the Hunter Valley Gardens this spring with Big Creatures taking over the gardens. From Saturday September 29 – Sunday October 14 the annual Mega Creatures event will thrill visitors to the garden with its fearsome and awesome displays. 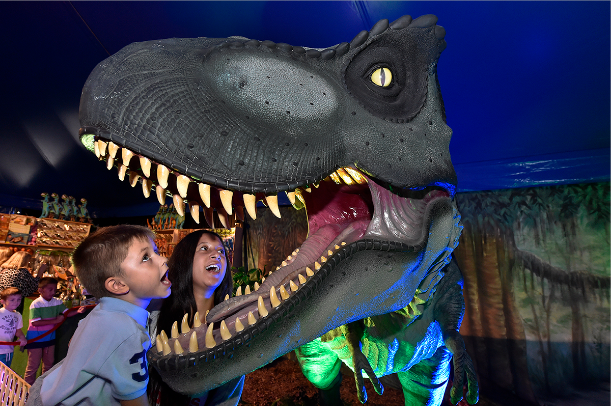 Grab a selfie with the 8 metre T-Rex, or get up close with a two headed dragon. Plus there are baby dinosaurs this year! 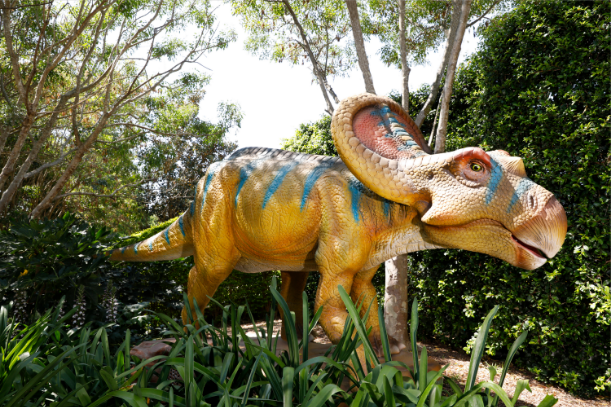 A family pass is $85 for 2 Adults and 2 Children so plan a day of dinosaur fun in the Hunter Valley! 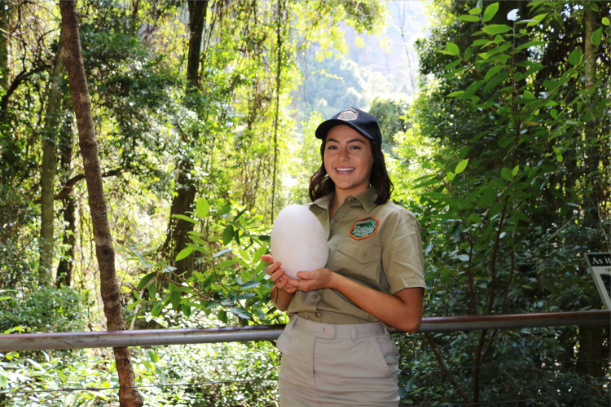 The countdown is on for Dinosaur Valley to launch at Scenic World in Katoomba. The gates open Thursday November 1 with lots of fun activities for the tribe. Join the Dinosaur Rangers to learn more about the world of dinosaurs and meet Ringo the Raptor and Barbara the baby dino. There is a free kids trail guide too to keep them busy on their journey to find dinosaurs. There will also be some awesome dinosaur movie nights scheduled including Dinosaur Island, Jurassic Park and The Good Dinosaur. 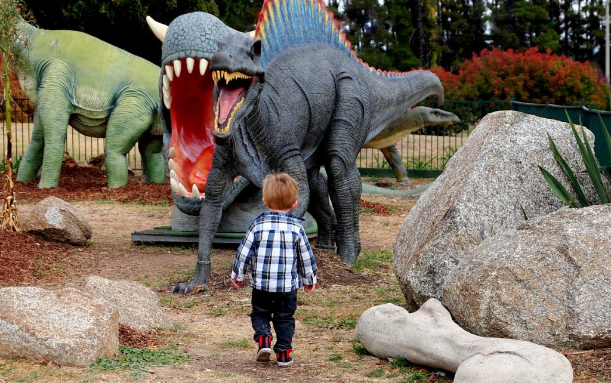 A family pass to Scenic World and Dinosaur Valley is $99. The National Dinosaur Museum in Canberra is a dinosaur mecca with everything from life sized models of your favourite dinosaurs to fossils of fish, amphibians, birds and reptiles. During the school holidays take advantage of guided tours and cool exhibits like the dinosaur hunt quiz. There is also a new 20m tall T-Rex that has just moved in so be sure to keep an eye out for him! A family pass is $45. Got an emerging reader? 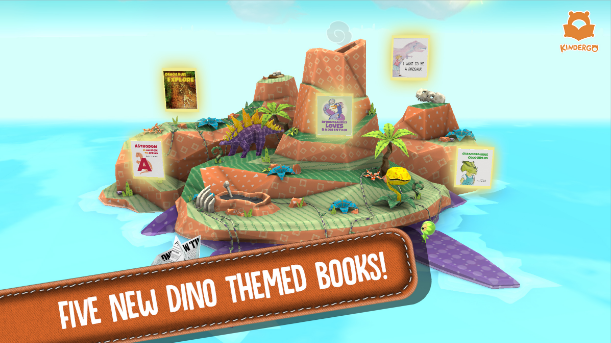 Kindergo app has announced the launch of Dino Island, which takes kids on a prehistoric journey through the ‘Alphabetasaurus’ series. Kindergo is an early literacy app for kids aged 2-7 years to help them read independently. This interactive app has games and exciting rewards for kids to encourage them to read. Some of the cute dinosaur themed books in Kindergo include Astrodon is Allergic to Apples and Byronosaurus loves Badminton. You can download a free 30 day trial of Kindergo here. 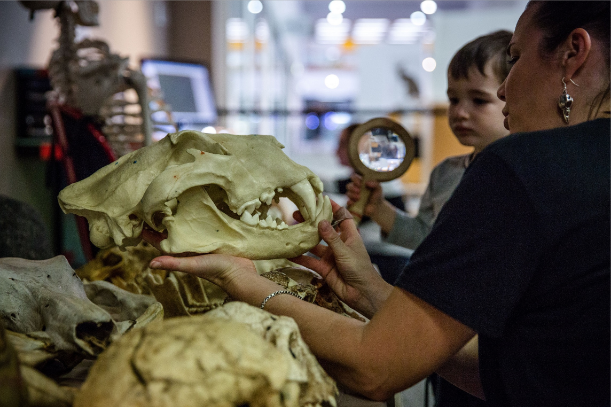 The Tiny Discoverers program for Term 4 is kicking off every Wednesday from October 24 at WA Museum’s Discovery Zone, and this term the focus is dinosaurs! There are two exciting programs to choose from including ‘In Your Own Backyard’ and ‘We Dig Dinosaurs’. Both programs are suitable for 3-4 year olds and cost $40 for 8 weeks. Tiny tots can learn all about our prehistoric past with weekly games, stories craft and studying the interesting objects at the museum. Over 30 dinosaurs have taken over St Kilda in the Jurassic Creatures exhibition. There is an amazing anamatronics show where the kids can watch the dinosaurs move, hear them roar and even see a glint in their eye! The kids can also become a paleontologist for the day, where they get an expert digger outfit and get to chip away at their very own fossil. There is also a dinosaur inflatable activity land, dinosaur sand painting and a 3D jigsaw world. Be quick to see this one as it finishes on October 14. A family ticket is $99.44 for 2 Adults and 2 Children. Entry to this exhibition is free for kids so what better place to take them for a hands on dinosaur adventure than Australian Museum in Sydney? There are 10 complete dinosaur skeletons and 8 life sized models to see, lots of cool interactive displays and there’s even a T-Rex autopsy with loads of insights into the 65 million year old beast.